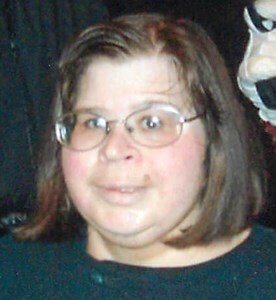 Colleen Francher, 38 of Clay, passed away peacefully surrounded by family and special St. Joseph’s medical personnel. Born on March 18, 1980. Worked for 9 years for Holiday Inn Express, Syracuse. She loved to read, watched horror and sci-fy movies, loved animals and nature. She finally saw the glaciers in Alaska. Survived by her parents, Nicholas and Mary Lou Francher; siblings, Patrick (Michelle) Francher and Shawn DiMura and her partner, Ron VanDerwalken and several aunts, uncles, nephews, cousins and friends. Calling hours will take place at New Comer Cremations and Funerals, N. Syracuse, Wednesday from 4-7pm. Funeral Mass will be held on Thursday, 10am at Sacred Heart Catholic Church, Cicero. Burial will follow at N. Syracuse Cemetery. In lieu of flowers, donations may be made to Villalobos Rescue Center, P.O. Box 771127, New Orleans, LA 70177 or Love Pet Clinic c/o Michelle LoPinto, 2410 Strawberry Road, Longs, SC 29568. To share a memory of Colleen or leave a special message for the family, please click the Share Memories button above. Add your memories to the guest book of Colleen Francher. So sorry to hear of your loss. I was Colleen's preschool teacher at Main St. Back then I was Hanna Wolfram. Teachers really do have favorites and Colleen is on my Top Ten List. She was a gem. Loved her spunky personality. She was a wonderful girl and her light in this world will be missed. Please hold all those wonderful memories close to your hearts. I know I will. I got to meet the Franchers family because Colleen need home care nurses . Colleen and I became close during time I took care of her . ( and with her parents) . We had a lot good talks and laughs together. End of our visits she ask if needed a bottle or snack before we left her house. Heart of gold . Happy Halloween its your favorite holiday. Your homecare Nurse Roxanna ? We were very sorry to learn of Colleen's passing, such a friendly and gentle person-certain she has her wings. Patty and I are out of town and won't be able to attend services but our thoughts and prayers are with you. My deepest condolences to you at the loss of your daughter. We have this beautiful angel watching over us now. I’m sure your parents have greeted her with their loving and open arms. My thoughts and prayers are with you. Our deepest sympath to your family during this very sad time. Unit 2-4 SJH. Dear Marylou, Nick, Patrick and Shawn. So very sadden to hear this tragic news of Colleen's passing. Your all in my prayers and thoughts. I'll light a candle at my church St. Vincent DePaul this weekend. My deepest condolences to the Francher family. Colleen we will always have fond memories of celebrating St Patrick's day with you at Fin Mc Cools. Colleen is such a sweet and gentle soul. She will always be loved and her presence will be missed! Godspeed Colleen! May God bless you and watch over your family and friends. Farewell friend.